What is your piece of sea glass? Where did it come from? How old is it? Ask others here, get it identified. Including details will help with sea glass shard identification. Post your sea glass shard or other beach finds here for identification. Identification is very difficult or impossible without a photo. We've found that questions about identifying sea glass and other beachcombing treasures that don't have a photo rarely get answers. You must submit a photo of your sea glass shard or beach find for your question to be accepted. Also helpful is where the sea glass was found and a detailed written description of the piece; for example, size, color, letters, or figures. Entering your question and description of your piece(s) of sea glass or beach find is easy to do. Click below to see what other sea glass lovers have to say about your sea glass or beach find identification question. Any ideas on where this pottery shard originally came from? Country and/or time period it was made? Found in Aptos, California, USA. Two nested A's and a 72 below. Clear glass. Can you help with this Scottish beach pottery shard ? This is a roughly 4cm piece with what looks like a ship, some flowers, and the letter R. Found on Portobello beach in Edinburgh. What does unknown glass say? Hope someone can help me identify please and how old it could be please? thankyou! Can anyone confirm this is an old lea perrins glass bottle stopper please? Its in pretty good nick! How old would you say please? Thankyou! I found this in the surf on the island Ixtapa Gerrero mex can anyone I identify the glass age and use ? Wondering how old and what this is?! I found this along the Saint Clair River in Michigan today. It's a beige color with the letters " RIAL" on the chip I found. Any idea what type of bottle this was? Found along the southern coast of Maine. Found this in the Caribbean yrs ago. Anybody recognize the logo? Wondering what kind of a bottle it came from and how old it might be. This was found on the southern shore of Big Bear Lake California. Can someone identify this glass shoe/boot? Any idea where this would have come from? Found on the Chesapeake Bay. Think it could be a wolverine with some letters? Is this Flow Blue pottery? Does anyone know what this might be or how old it might be? Is this a odd beach glass? Can you help identify name/company on this piece of sea glass? The 2 balls are of a marble shape. Can Someone Identify This Unusual Glass from Florida Beach? What era are these from? What is the age and worth of my sea glass? Is it genuine? Is this a Christmas Ornament? I found this on a Ct beach last winter. It’s @1cm thick and white. It looks like plastic but is definitely glass. Found this orange swirly glass ball with orange "knobs" on top. What is it? Boar or horse graphic on clear sea glass? Any Ideas? Strange object. Feels like pottery, and has deep red glaze like paint on it. Can't imagine what it is...or was. Deep purple with snow flakes? Very deep purple. Looks like it has snow flakes. What kind of bottle is this from? What type of object could this have originated from to be so thick and rectangular? Aquamarine light blue...bottem of a bottle...wolf, donkey? Doing tons of research, keep coming up with nothing. I found this on the beach of Cromarty Scotland, while visiting my sister. Any idea what it could be? This piece is glass and the middle rounded...I can only think it might have been a bottle topper, but a very odd piece, indeed. Anyone ever encounter gradient pieces like this? what is this red beach glass with pyramidal triangles, glows? Found along Lake Michigan in Chicago. Any idea what it is from? Is it safe?! Very pretty. Anyone know what these letters may be a part of? I'm stumped! Brown sea glass piece, 2.5 in (widest) by 3 in. The capital letters visible are NI OR. Anyone got a guess as to its origin? Anyone have any idea of the origin of this large round pink/peach piece of sea glass?? Found in Spain. Is this a rare piece of sea glass and where did it come from ? What is this Oak Street Beach glass from? What type of sea glass? What Was This Square Lavendar Piece Found in Maine? Cobalt Blue small old bottle, no chips...would like to know age, value etc. Monster size Beach Glass - what could this be from? Large Light Blue Beach Glass. Found in Toronto Ontario Canada on the shore of Lake Ontario. Is This Ruby Red Sea Glass? Green Sea Glass from Oahu, "65 mm"
White House Sea Glass Identification? What is this florescent orange ceramic found all over Coronado Beach? Any idea of what this is? What it says? & how old? Found in the rocky waters, on Nova Scotia's south shore. What Does This Sea Glass Come From? This piece of sea glass was found in Barbados, very dark green almost black. What could this piece of glass be? What was this and how old? Any clue what this tiny glass bottle is? Where might these marbles come from? What Logo on Blue Beach Glass? Japan Beach Find - Brake Light from Motorcycle? What Kind of a Beach Rock? Huge, heavy chunk of white sea glass? Would love to know what this may be from. Is this glass or a mineral? Weirdest beach glass I've seen! What is this lavender shard of sea glass from? Sea Glass - How Old and What is It? Want to know what this said. Seaglass with glaze or coating? Can anyone identify this strangely shaped piece? What are these? New to sea glass. A way to tell how old sea glass is? Dorset Coast Sea Glass ID? Red, Lavender, and Bumpy Green Sea Glass - San Diego? Unusual sea glass bead, need help identifying!?!! Orange Half Sphere Beach Glass? Any idea on what the clear piece of beach glass is? Found this clear piece at the Jersey Shore on 06/7/16, any idea what it might be? Is this from an antique bottle? Sea Glass - What is It? What is this Large Green Serrated Sea Glass? Help me identify! Husband found it. He is so proud. I want to be able to tell him some history about it. Green Glass Shard with a Giraffe Head? I found this brown piece at the tide line in Cayucos Ca this past week. Can anyone tell me why it looks so fragmented when exposed to the light? Half Rounds - what are they? Does anyone know what these were (are)? They are round on the top and flat on the bottom. What liquor bottle is this? Thick old piece containing bubbles in the glass and is iridescent! Identify this sea glass bottle shard? Cobalt Blue Beach Glass Identification? Is this sea glass or a worn down shell or what? Help ID this glass with marking. What Did This Beach Glass Come From? What is this Glass Shard? Any ideas on origin of sea glass from Rhode Island? Glass Beach Fort Bragg, CA ceramic? My First Find, How Good Is It? What is this red glass?? How Old is this Sea Glass Bottle?, and what is it? Sea Glass from Lincoln City, Oregon - What is It? Is this Authentic Sea Glass? Monterey Sea Glass with Script? Identify Beach Glass with Letters COM? What Did This Piece of Sea Glass Come From? Beach Glass from a Miner? Ships wheel sea glass bottle? Yellowish to reddish sea glass? Can you identify these sea glass bolttle bottoms? What Does This Sea Glass Say? Small Beach Pottery Prince Edward Island? Any one know what these initials on sea glass mean? Two-tone red and white sea glass. Is it a marble? Blue Sea Glass that is Really Brown? ID this Pale Blue 1923 Glass Shard? Inclusion in a piece of seaglass - what is it? Red Sea Glass from the UK - Curious Shapes! 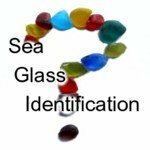 What Equipment is Helpful in Identifying and Enjoying Seaglass? Sea Glass Pieces - What are They? What is the origin of my sea glass are they natural or man tumbled? What is this sea glass from? The words "wish bun" on sea glass? Please help me identify this sea glass piece. Green Sea Glass with "hig" written on it. What could this piece of bright blue with letters NE be from? What are these pieces of sea glass? Does anyone know the origin of these pieces of sea glass? Green Sea Glass - Pluto? Milk of Magnesia - Sea Glass? Sea glass with water, sand and air bubble inside?